This story comes straight from our old Scamadviser Forum. Thank you for member 'Luck_Laowai' for putting forward the scam in his original post. China is no longer on my short list! To avoid all the China scams that target foreign tourists, expat employees, online consumers,and exporters, visit http://reddit.com/r/chinascamcentral. Doing anything in China requires extreme caution. Yes, they will indeed keep their promise to "find you a job placement within 30 days - guaranteed" BUT it will not be the one you wanted nor the one you applied for nor the one you like! The cops call it a "bait and switch fraud". 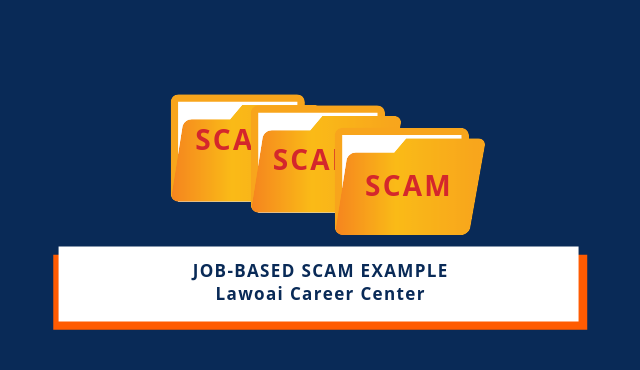 Laowai Career center advertises heavily online and what they advertise are high-paying jobs or jobs that say "travel the world for free" or 'no weekend" or "free furnished apartment included" or "Fortune 500 company needs native-English speaker". All these ads are hogwash. They use these fake jobs to collect a bunch of resumes. That's how they got mine. Yes, they are polite and friendly and even seem helpful. But I realized after I was swindled, they only told me what they wanted me to know. For example, that free furnished apartment came with two roommates and one was a Nigerian chain-smoker, and the other a guy from Pakistan who had Hepatitis and constantly argued with his GF on his cell phone - even at 1:00 am in the morning! When I arrived in China it was to work as a Marketing Manager for a "UK Finance Giant" but turned out to be a telesales job for a small company called Montpellier that the expat people I cold-called said was a scam and angrily said they told Montpelier to stop calling them every month! When I demanded a refund after week one they pushed me to take a job teaching English that paid 10,000 a month, but all the other foreign teachers were getting 15,000. Guess where the other 5,000 was going? I met two other LCC "clients" and one was offered $1,000 to make a "promotional video" with others but he later said that when he saw the video, they edited it to be a "testimonial" and that he demanded they take it off the internet and they refused. Two weeks later they invited me to a party and I noticed they had a girl and an Indian guy videotaping everything. They got a few drinks in me and then made the very same $1,000 offer to me and I sent them to hell. Oh yeah, I almost forgot, one of the other "3,000+ satisfied clients" was demanding a list from the Russian owner who started threatening her that he'd get her arrested and deported if she didn't "stop making a scene". She was asking him "to list 10 Fortune 500 companies that LCC works with" because at the orientation on the first day, he boasted that they were "partners with over 100 Fortune 500 and MNCs in China.". When he couldn't answer her and kept changing the subject she started passing out something she copied from the internet about "China's Legal Scams". Here is the link of what she began to pass out.https://scam.com/entry.php?6418-Beware-of-China-s-many-Legal-Scams-like-... The owner took Kay outside of the conference center with another Chinese guy named "Tommy" and I never saw her again. I hope she is okay.